When you get a new pet it is essential that you externally mark it as belonging to your household for a number of reasons. It is a well known fact, with over eighty percent of pet owners believing that they should do this and yet well under forty percent actually do anything about it. How many cats do you see stalking the streets at night collarless and tag-less with no way of identifying who they belong to? But why is it important to link your pet to your name address and/or telephone number and what are the different ways of going about it? Just like with people it s essential that pets can be identified as belonging somewhere and to someone. Without this information, it is often assumed that a pet is in fact not a pet but is a stray ( a runaway pet) or even a wild instead of a domesticated animal. This is particularly the case in certain countries such as Cyprus which has a massive cat population, many of whom are not pets but live wild on the streets. This can spell trouble as often feral animals are put down if they are found roaming the streets or are reported to the authorities. It is reported that one in three pets will become lost in their lifetime, that’s a third of all pets. Even if your pet is an indoor pet then accidents do happen, perhaps you leave the window open too wide or forget to latch the door properly. Whatever the reason pets do get out even when owners do everything that they can to make sure that their pet stays safe and indoors. The most shocking fact is that about ninety percent of pets without external identification will never make it home. So if that accident does happen is your pet coming home to you? Many pet owners respond to external identification with the line ‘but my pet is micro chipped, ‘which is all very well and good if a vet or professional animal handler finds your animal. But if a member of the public sees your animal with no external identification on then they cannot do anything to help. Remember anyone can read a simple tag on a collar but not everyone has the ability to read microchips. 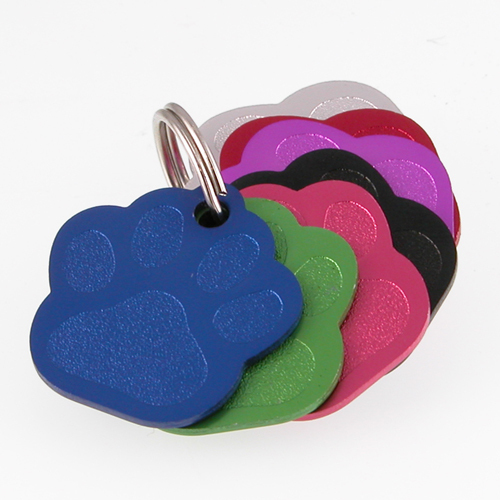 To find out more on fitting your pet with a collar and tag read this interesting article. Next Story → National Pet Month – treat your pooch to something special!